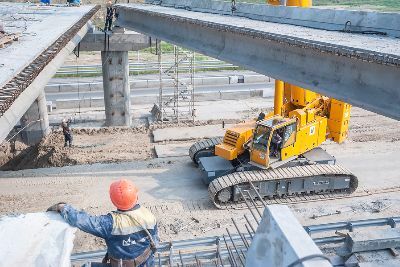 The workplace can be a dangerous location, and while Indiana recently reported the second lowest number of workplace injuries at a rate of 4%, hundreds are still injured each year. The impact can be devastating and in some cases, permanent, resulting in sky-high medical bills, lost wages and an inability to work, along with what could be long-term or even permanent pain and suffering. A small portion of these cases are even fatal. But there is help. 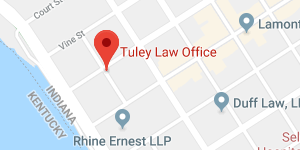 The Evansville, Indiana personal injury lawyers with Tuley Law Office have many years of experience dealing with these often complex cases, including workplace injury lawsuits and workers’ compensation cases. If you or a loved one were injured on the job and need help recouping money for your medical bills, lost wages and other losses, turn to the experienced team of legal professionals at Tuley Law Office. To discuss your case with our legal team in a free consultation session, just call (812) 434-1936. If you’ve been injured at work, you’ll have many issues to navigate, from working with your employer and filing a workers’ compensation claim, to sorting through other issues stemming from your accident or mishap. Therefore, it’s common to have lots of questions after an accident on the job. Our Evansville, Indiana personal injury lawyers also field many questions from individuals who’ve lost a family member from a workplace accident. So the following is a look at some of the most common inquiries that we address on the topic of injuries at work, workers compensation and personal injury claims. Employers retain workers’ compensation insurance plans that cover medical expenses, rehabilitation costs and lost wages for employees who suffer a work injury. In cases where an employee suffers fatal injuries, benefits are paid to their survivors. Better known as workers’ comp, employees are covered from their first day at work. If you suffer an injury, you are required to report the accident within 30 days. For injuries that require you to miss more than seven days of work, you will be entitled to receive weekly income benefits, which usually get mailed out within 15 days of the date of the injury. The workers’ compensation checks are not taxed, so they are paid out at a rate of two-thirds of your typical earnings. If you’re injured at work, you should get immediate medical attention to avoid unnecessary complications, while maximizing your chances of a positive outcome. Remember, that many injuries may not immediately be apparent. These medical records will also become an important part of your case. Whenever possible, take photos of the injury and accident site before anything is moved, cleaned up or altered. If anyone witnessed the accident, get their name and contact information as this witness testimony can be crucial for your case. We recommend contacting an Indiana personal injury law firm dealing in work injury cases — like Tuley Law Office — as soon as possible following the accident, as vital evidence can disappear or degrade with time. A work injury lawyer can help you deal with a difficult workers’ compensation insurance provider, a challenging situation involving an employer, or another issue surrounding compensation for your on-the-job injury. In other situations, a third party could hold some degree of liability for your injuries, so this is another consideration to keep in mind as things get more complex when more parties become involved. Our experienced personal injury lawyers can also help you maximize the amount of compensation you receive for your losses and injuries. While uncommon, there have been cases where an employer commits fraud or intentional deception, which in turn, impacts your case. An experienced attorney dealing with workplace injuries can help you gather the evidence you need to prove that this fraud or deception occurred. This can enable you to re-open a claim in some circumstances. Every case is unique, so there is no one-size-fits-all answer to this question. But generally speaking, this type of case is handled on a contingency basis. As such, there is usually no up-front retainer and the legal fees are typically deducted from the funds that are recovered on the client’s behalf. The precise dollar amount that you may pay in legal fees will depend on upon factors such as the case complexity and what measures are required in order to arrive at a favorable resolution. Work injuries can be debilitating and even fatal, with many of these accidents resulting in a serious financial impact on the victim and their loved ones. You may be unable to work either temporarily or permanently, plus you’ll likely be faced with medical bills, rehabilitation or physical therapy expenses and beyond. This is a terrifying time for any individual, but there is help. When you trust your workplace injury case to the experienced attorneys at Tuley Law Office, you’ll maximize your chances of seeing a positive outcome. Founded by Attorney Daniel Tuley, who offers over 30 years of experience, our law firm is committed to representing our clients using an aggressive, strategic approach that brings results. But you must act soon to maximize your chances of seeing a favorable conclusion. Arrange a free, confidential case consultation with Tuley Law Office by calling (812) 434-1936.